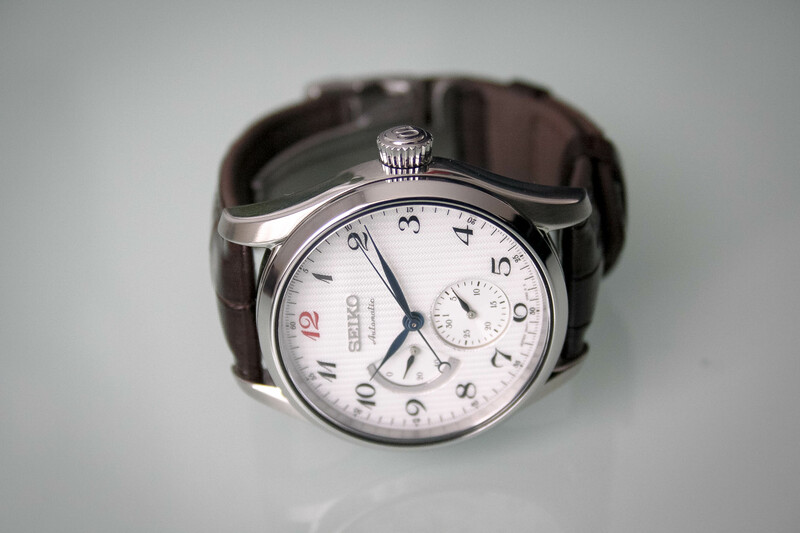 Seiko, a brand with a rich history and full of respectable moments. Most people will probably not place a Seiko watch in between other ‘famous’ premium brands, because they simply don’t know enough about the brand. However, we can assure you that Seiko is a great brand, with a large range of innovations and patents. 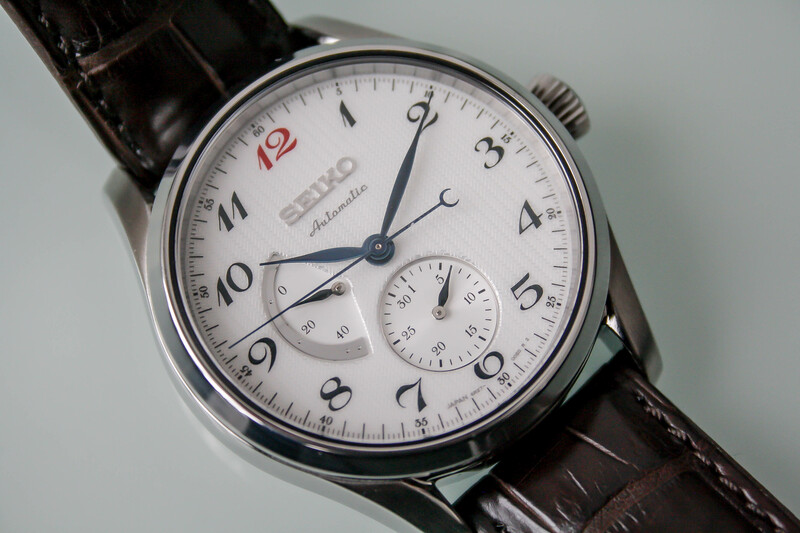 The watch we’ve reviewed for this week is – of course – one with the ‘Seiko’ stamp on the dial. This timepiece comes from the ‘ Presage’ collection and absolutely isn’t your average Seiko watch. So, this is for all you guys out there thinking Seiko is ‘just’ Seiko: please read carefully and memorize it forever. 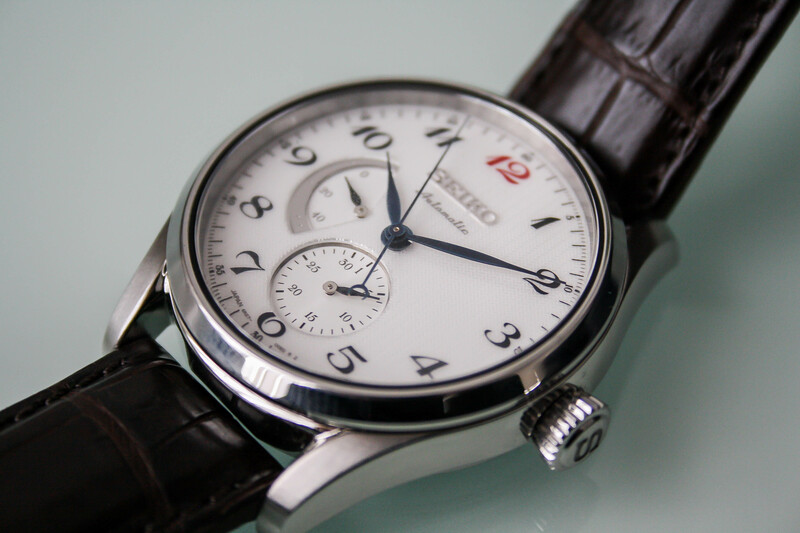 This review is about the multi-hand with power reserve indicator; the Seiko Presage SPB041J1. 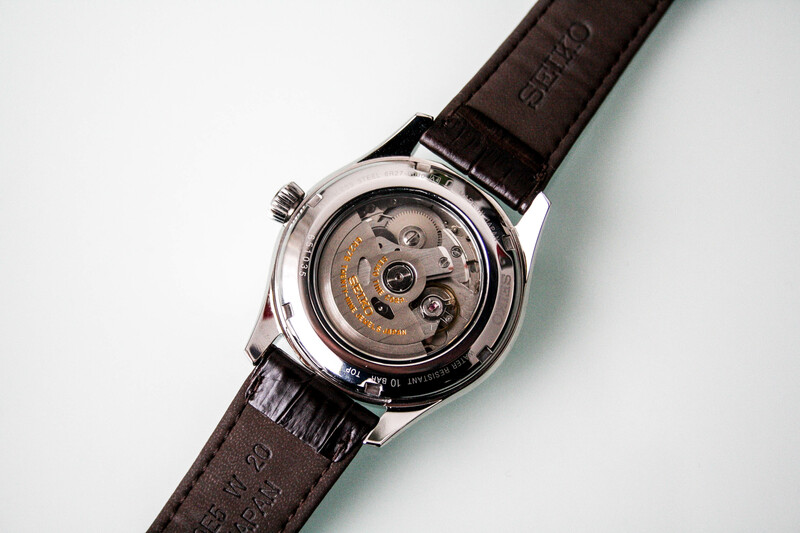 For those that are familiar with Seiko, it’s a well-known fact that Seiko creates both Quartz and Mechanical powered timepieces. For those who aren’t familiar with Seiko: now you know they create both Quartz and Mechanical movements for their timepieces. 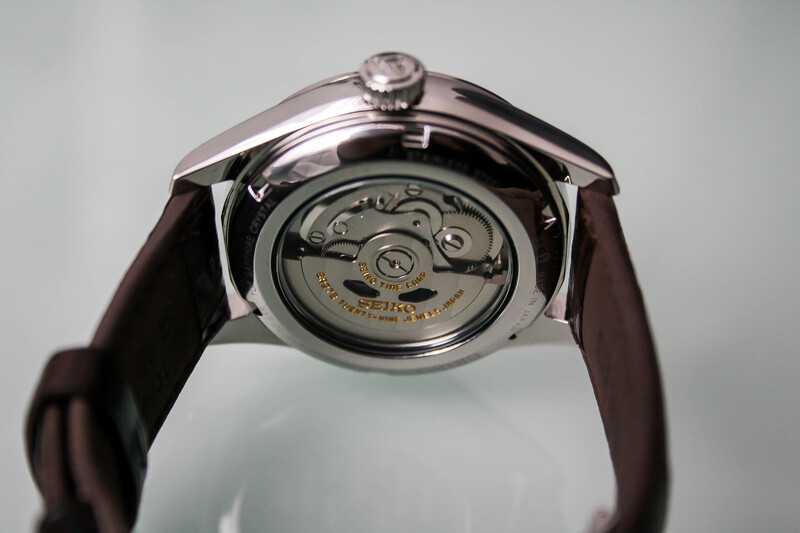 The Presage Collection exists purely out of mechanical timepieces. Workhorses that are powered by a 4R, 6R or 8R calibre. 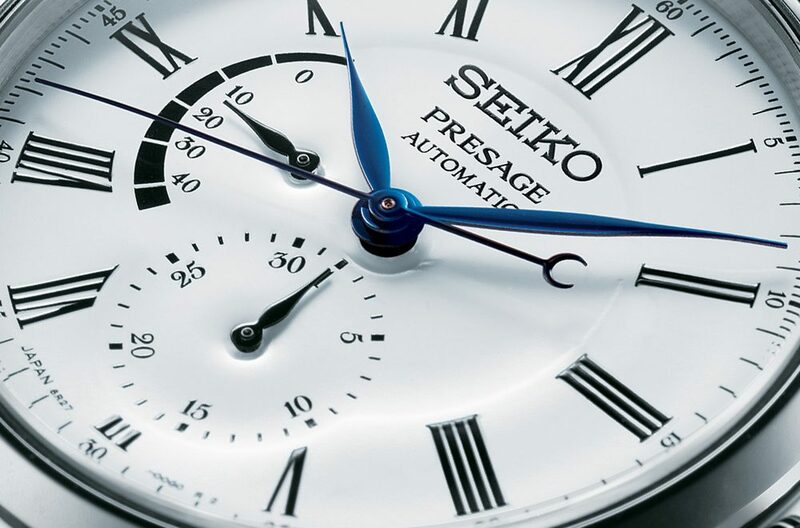 In Seiko’s words: ‘the Presage collection resembles the rich Japanese traditions and craftsmanship’. Well, I’m not completely experienced when it comes to Japanese traditions, but since Seiko is a brand I’ve always respected, I believe these words without a single second of hesitation. After all, Seiko is without a doubt the best non-Swiss brand that’s out there. The first thing that came to mind when I unpacked the watch was the fact that it’s a bit heavy. Not the weight I would expect from a watch like this, but hey, that doesn’t matter. I like the watch and the shape, it’s a nicely curved case and the font used for the indexes fits the watch perfectly. It’s a mix between modern-day details and classical dress watch aspirations. One of the key details, marking this timepiece as one of the Presage collection, is the sapphire crystal case back. 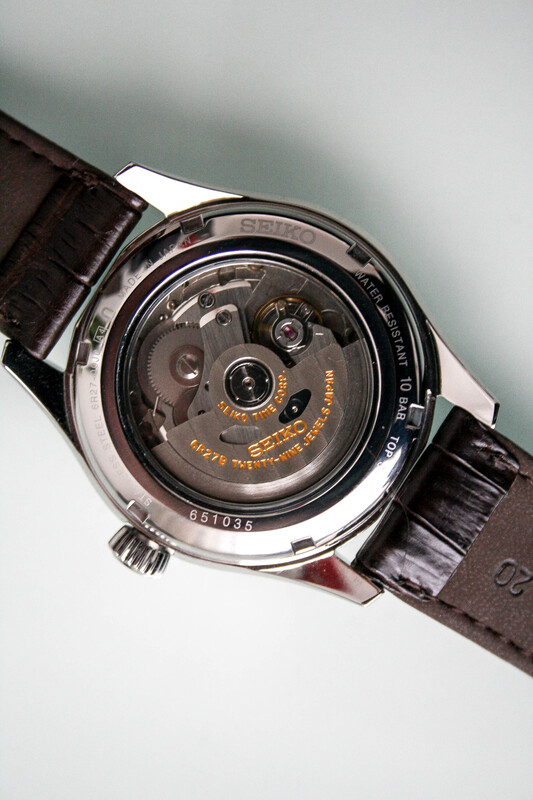 Showing the 6R27 movement, with côtes de Genève stripes on the rotor and golden inlay for the engraved name and information displayed on the rotor. Details that remind the attentively watch enthusiast that it’s not your average Seiko timepiece. 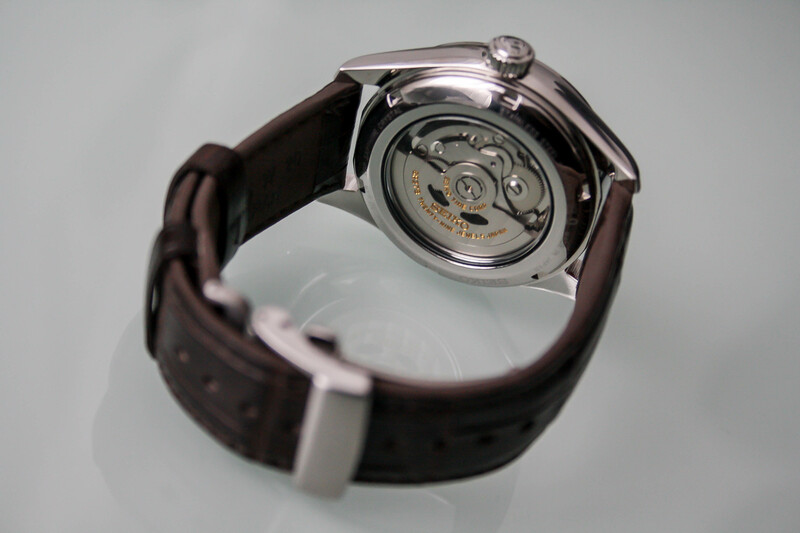 The 6R calibre is a fully in-house developed movement and comes with date complication at 3 o’clock or – as in the case of this SPB041J1 – a power reserve indicator at 9 o’clock and date sub-dial at 6 o’clock. This movement provides the watch with 45 hours of power reserve. What I realized when wearing this watch, was the fact that the size of the case (40.5mm) fitted my wrist perfectly. However it seems a bit smaller, because of the shape of the lugs and the rather small strap that’s attached to it. That strap could be a bit bigger in my opinion, as the case itself is rather heavy and knows a fair height, resulting in a need for good support. On my wrist, the watch had the intention to slide from left to right – no I did not wear it too loose – which probably would be less of an effect when the strap would be a tad bit wider. 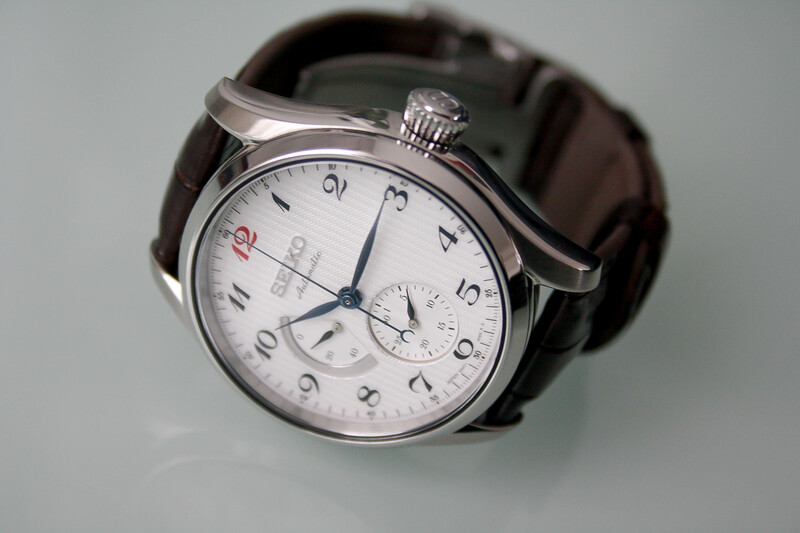 What I did like was the fact that the polished bezel made this watch very attractive to the eye. 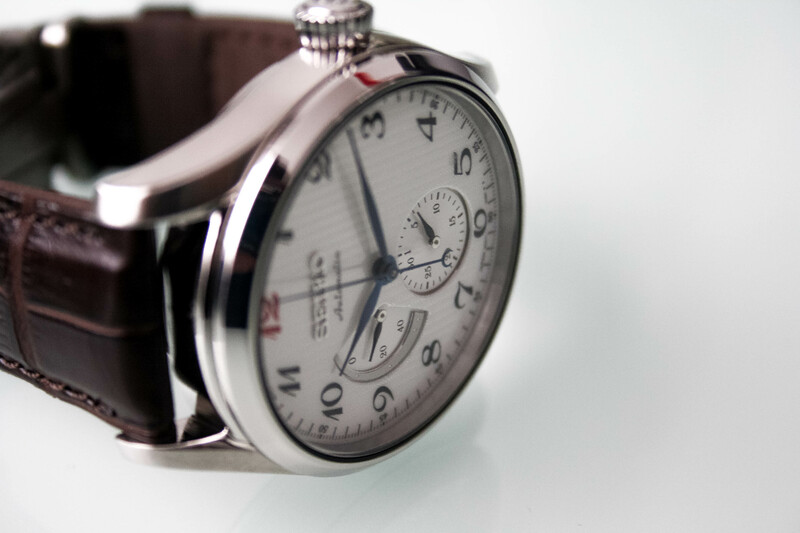 It looks very classy on your wrist, without being a grumpy old grandpa. The two limited editions Seiko made in this Presage collection – in honour of the 60th anniversary of their automatic movement history – come with an enamel dial. The model we’ve reviewed has the same effect to it, however it isn’t actual enamel. I like the pattern on the dial, but to be honest it seems a bit to much of an enamel knock-off. It fits the watch perfectly, in terms of colour and looks, but I think some people could be disturbed by the fact that it’s not actually an enamel dial. I’ve had a few watch heads asking me if it was, it made me inspect it more and more. What I like about the dial is the fact that the date dial at 6 and the power reserve indicator are sunken and do not carry the same pattern as the rest of the dial. This creates a comfortable contrast which results in a dial that’s perfectly in harmony. To be honest, I do think the edges of the power reserve indicator could be a bit sharper, but then again, I don’t think it’s very disturbing. The red 12 looks very cool and gives the watch a little twist. Besides those details, the hands of course, fit the watch perfectly. The blued steel gives a more luxurious look and it’s almost synonymous to luxury timepieces. I can be quite plain and simple about the SPB041J1: I really like it. 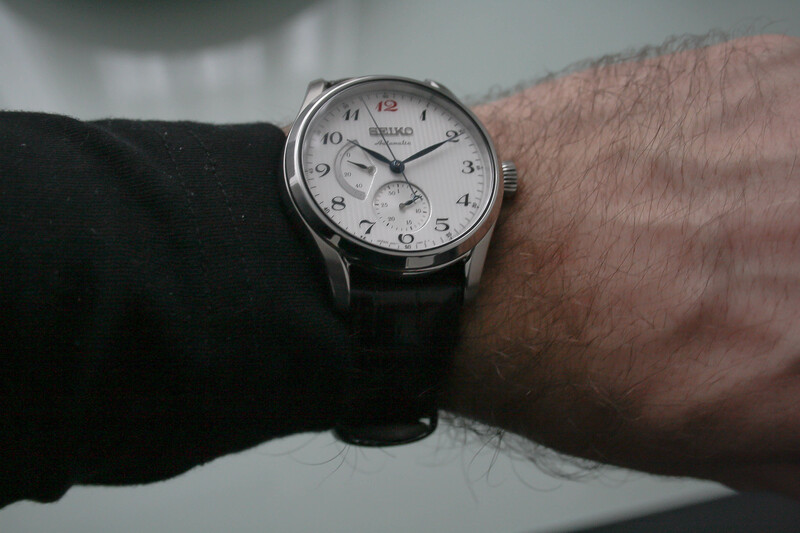 Yes, I did mention the weight and comfort of wearing as points of criticism, but this doesn’t damage the watch at all. In fact, I think there’s a point of criticism in each watch. 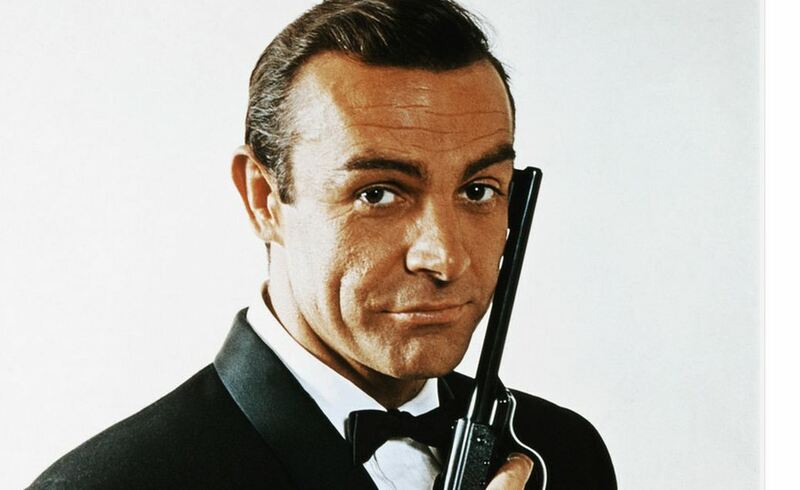 After all, watches are chosen by their wearers, a watch doesn’t choose its wearer. Resulting in a like it or don’t like it situation. 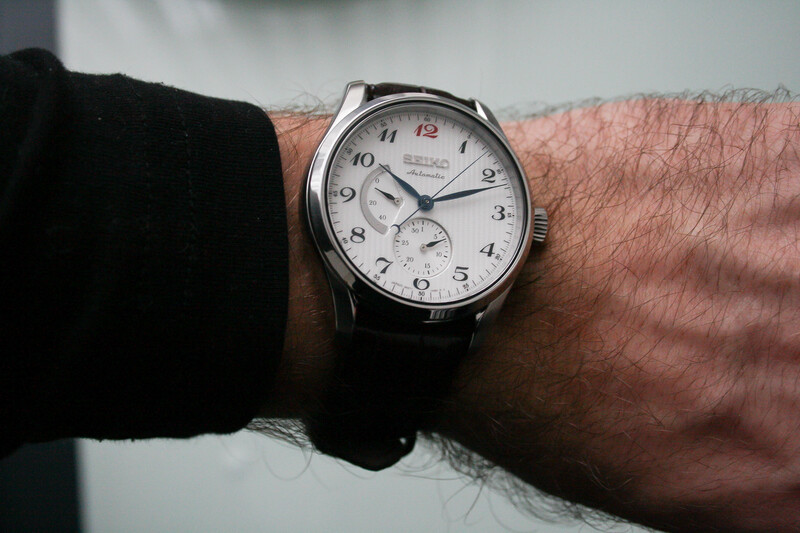 I think Seiko does a great job with their timepieces – period. When it comes to looks and finishing, yes some models will appeal, others won’t. 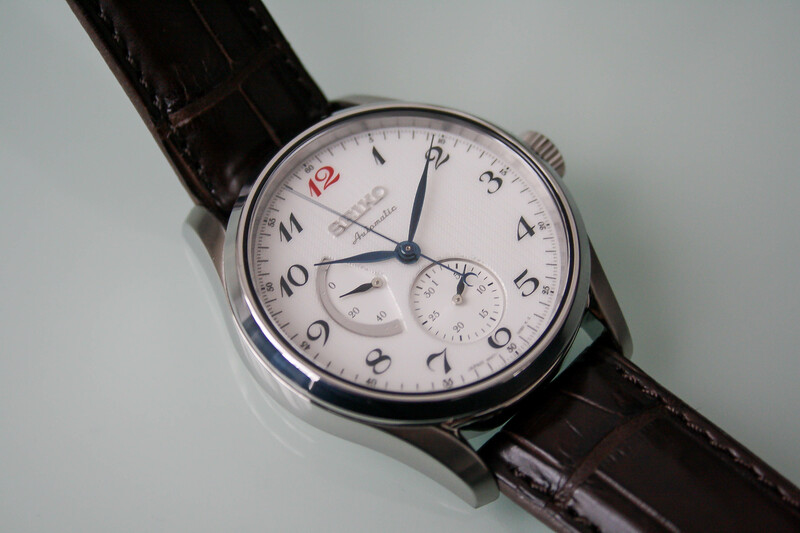 But this Presage model really attracts me. I like the fact that it’s such a classy timepiece, but never too classy. You can wear it in an every-day situation, but it also fits perfectly when going for a formal presence. So, to make a long story short: put this baby on a diet for a month or so, fit a bit bigger shoes (strap of course) and marry me for many years to come.